Nicole Montanaro is a director with VMG Health in the Compensation division and is based in the Dallas office. 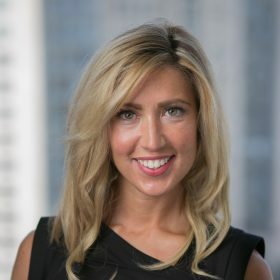 Her area of expertise is dedicated to performing valuations of compensation agreements within the healthcare industry; specifically, pay-for-performance arrangements, such as co-management and cost savings initiatives, as well as, hospital efficiency improvement programs. Since joining VMG Health in 2013, she has performed over two hundred quality and efficiency incentive compensation valuations. Additionally, Ms. Montanaro’s realm of expertise includes the valuation of air and ground ambulance transport services agreements and non-emergent medical transport agreements. She also performs the valuations of purchased services and management services agreements related to a variety of subindustries within the healthcare industry. Ms. Montanaro received a Bachelor of Business Administration from Southern Methodist University in Dallas, Texas. She has been published in the HFMA Advisor Magazine and has recently presented at the Becker’s Hospital Review 8th Annual Meeting national healthcare conference.